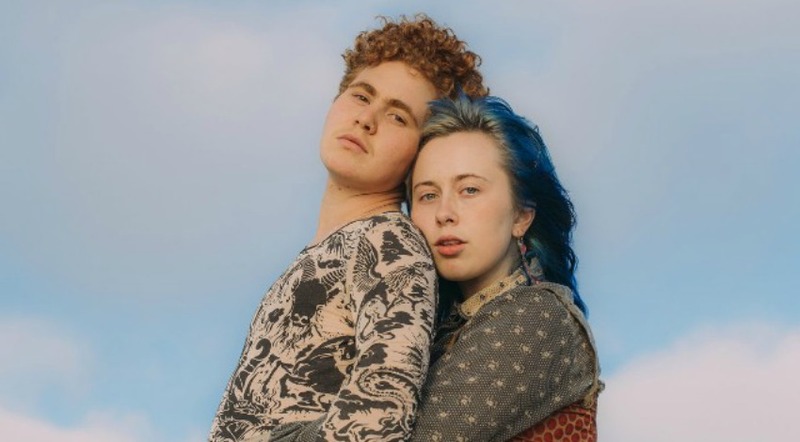 Girlpool’s February 1st album release What Chaos Is Imaginary is simultaneously a fantastic exploration of the duo’s distinct individuality and an awesome demonstration of how well they each complement one another. What Chaos Is Imaginary creates a compelling picture of the Girlpool duo at their most honest, vulnerable, and artistically sublime. The album begins forcefully with “Lucy’s”, sung by Cleo Tucker. Heavy drums and short-strummed guitars create the perfect accompaniment to Tucker’s emotion-filled vocals, setting the stage for the rest of the album. Four songs into the album comes “Hire.” “Hire” is a song of buoyancy and optimism, singing of Tucker’s “newest life.” It conveys a sense of strength in spite of uncertainty. The album intensifies with “Chemical Freeze,” as Tucker slowly, deeply sings a song of fragility. The song builds up and falls back down, eerily reverberating with Tividad’s background vocals and the thrum of the guitar. “What Chaos Is Imaginary” is a haunting croon of love and life. The pounding drums offset Tividad’s delicate vocals, forming a song that is all at once powerful and intimate. “Swamp and Bay” picks up with an air of defiance, as Tucker sings “but I’m the bell you’ll have to break.” The drums bang, the guitar wails, and the song takes on a life of its own. As the album sways from melancholy to commanding and back again, the thread through it all is the relationship between its members, Cleo Tucker and Harmony Tividad. The togetherness of the duo is striking. The guitar-backed, vocal-heavy, mega-personal album breathes intimacy. It brings to life the sacred relationship between Tucker and Tividad, laying it bare for the listeners to bask in and treasure.